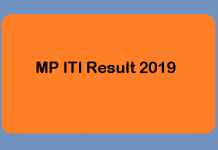 Jharkhand ITI Admit Card 2019: The admit card of Jharkhand ITI will be issued on 29th May 2019. One, who wishes to attempt the examination and have successfully submitted the application form will be able to download Jharkhand ITI Admit Card 2019. The JCECE Admit Card 2019 can be downloaded from the official website of the authority. The admit card of Jharkhand ITI will be containing many important credentials. After the candidate has downloaded the admit card, he/ she will have to make sure that the details mentioned on the JCECE Admit Card are correct. In case if one feels any kind of discrepancy, then he/ she must approach the concerned authorities immediately. The candidate, who has submitted the application form must be aware of the date of the release of the admit card as skipping any event can lead to disqualification of that candidate. 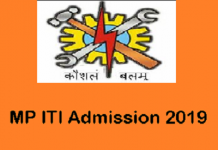 In order to know more about Jharkhand ITI Admit Card 2019, the candidate must read the article below. One, who wants to sit in the examination of JCECEB must make sure that he/ she is keeping a tab on the important dates. The official dates are available now. The below mentioned are the announced dates. How to Download JCECEB Admit Card 2019? Click on the direct link for the admit card mentioned in this article. (The link will be mentioned as soon as it is made available on the official website). Enter your name or the form number. The screen will display the admit card of the respective candidate. The candidate is expected to print the admit card for future purposes. The JCECE Admit Card shall be released in an online mode only. 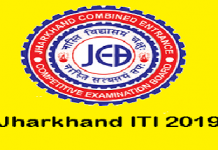 The Jharkhand Joint Entrance Competition Examination Board will be issuing the admit card of Jharkhand ITI Admit Card 2019. The candidates will have to bring the admit card along with him/ her to the examination centre. Any applicant without the admit card will not be allowed to enter the examination hall. 2 How to Download JCECEB Admit Card 2019?